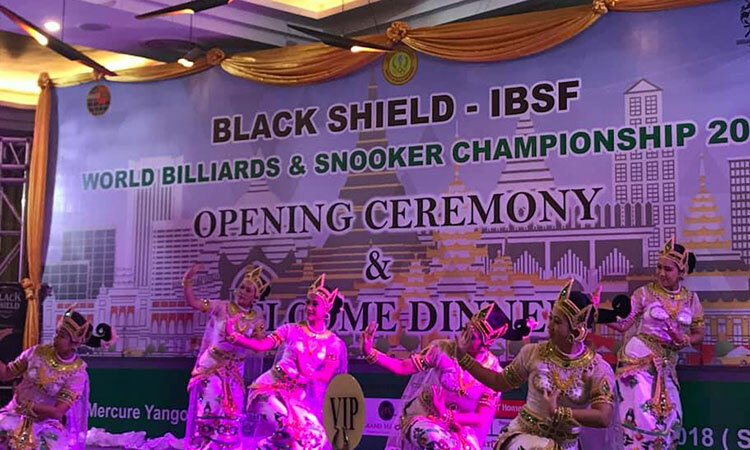 The 2018 IBSF World Snooker Championship announced open during the opening ceremony held here at Grand Mercure Hotel in Yangon, Myanmar last night. 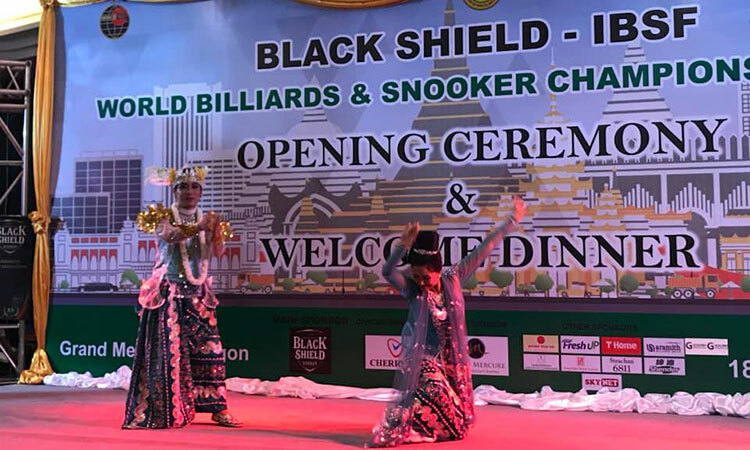 The Myanmar Billiards and Snooker Federation (MBSF) planned the ceremony and gala dinner yesterday to merge closing ceremony of World Billiards and opening ceremony of World Snooker championships. 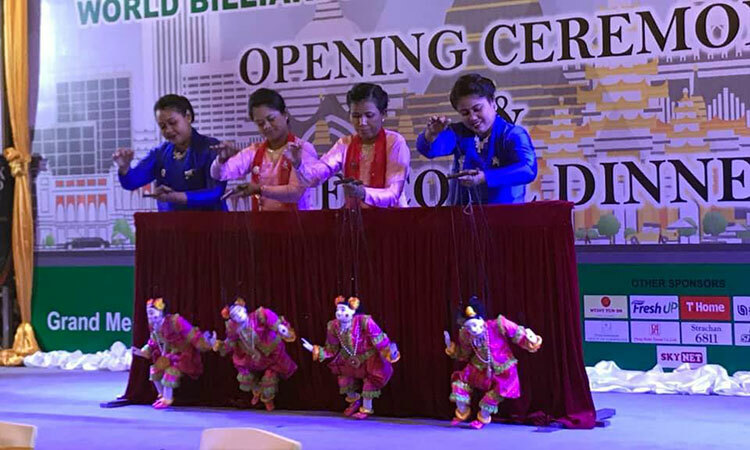 Dr. Mya Lay Sein, Deputy Minister for Health and Sports of Myanmar was the Chief Guest of the ceremony. She was accompanied with IBSF Vice President Mr. Jim Leacy, Tournament Director, Mr. Joseph Lo from Hong Kong, Dr. Min Niang, President of MBSF and other officials from MBSF. 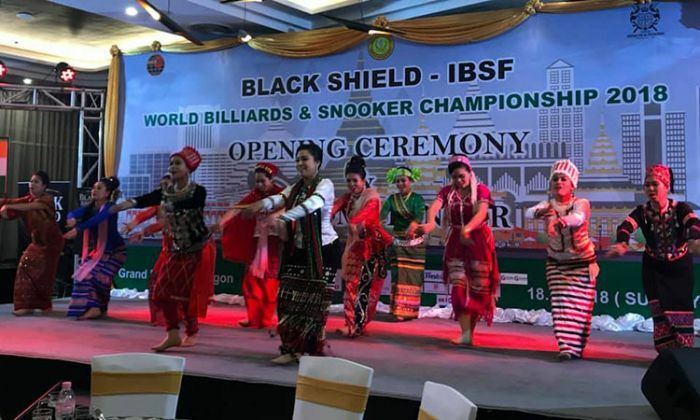 The ceremony began with prize distribution to medal winners of 2018 IBSF World Billiards Championship followed by welcome speech and cultural program of Myanmar. 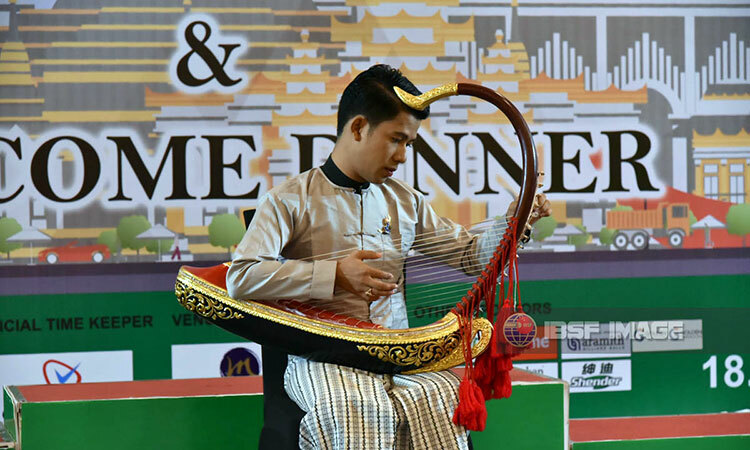 The guests from different part of the world later enjoyed the delicious cuisine of Myanmar.